The USA is one of the most generous countries on different types of scholarships. To apply for them can be including international students, for which sometimes separate funds and programs are created. 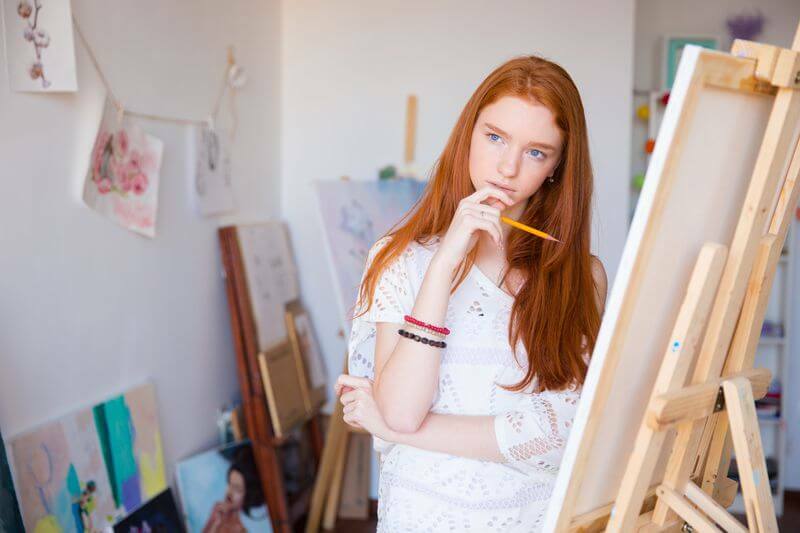 A poor artist (or a representative of any other creative profession), no matter whether he is a student or a professional, will certainly be able to find a scholarship that will help him acquire a profile education or relevant work experience. We present you a list of scholarships in the US, which are available to representatives of various creative professions. Adelphi University, where quite a few creative educational programs, automatically examines all applicants as applicants for a scholarship. To receive the scholarship there can be three grounds: talent, athletic achievement or high academic achievement (excellent grades and no less than 100 TOEFL points). The size of the scholarship is from $ 6,000 to the full cost of tuition. The student learns about whether he received a scholarship, three weeks after enrollment. The Sam & Adele Golden Foundation for the Arts annually recruits young artists to involve them to innovative materials and technologies. Training takes place in the form of sessions held during the year (from March to October). The duration of each session is four weeks. The task of the Golden Foundation also includes financial assistance to those residents who do not have enough funds for travel, accommodation, materials and so on. The amount of material assistance is determined individually. All residents must work with paint, be over 25 years of age and be non-profit artists. You need to upload examples of work through the online application, motivation letter, curriculum vitae, summaries and recommendations, as well as pay a registration fee of $ 30. Deadline is September of each year. The Fullbright Foundation pays a grant to artists who wish to travel to the US for seminars, lectures, master classes and the like. The maximum duration of the trip should not exceed nine months. Applicants for a grant must have specialized education and work experience. This program presents flexible requirements for knowledge of English, the minimum level is determined depending on the scope of art: to the choreographer, the requirements will be less stringent than to the writer. Preference is given to individuals who have never been to the US before. Grant holders will be paid flight tickets, medical insurance and a monthly scholarship. Every year, the John Kluge Center at the Library of Congress issues scholarships to researchers wishing to study the impact of the digital revolution on society, culture and international relations. The residence can last a maximum of 11 months. The scholarship is $ 4,200 per month. Experts from all sectors, including art historians, are invited to take part in the research. Preference is given to holders of PhD, but this is not a prerequisite. Applicants need to send a questionnaire, resume, research plan, letters of recommendation. Naturally, you need a good command of English. The applicant must indicate how he will use the Library of Congress in his study. Deadline – December 6. Getty Foundation offers paid internships in Los Angeles and Malibu for masters and postgraduates studying art at the university, as well as professionals working in this field (with a diploma of higher education). The duration of the internship is eight months ($ 17,400) or a year ($ 26,000). All trainees will receive free health insurance, payment of transportation costs and, if necessary, a grant for research trips ($ 2,500). Deadline – July 15. Every year the Metropolitan Museum of Arts allocates funds for internships for professionals in the field of art. You can choose from a large list of projects implemented by MMA. Scholarships for participation in these projects are available to both bachelors and masters (including from other countries). The duration of the internship is 2-12 months. The size of the scholarship depends on the duration of the internship: from $ 3,500 to $ 25,000. In all, approximately 40 programs are offered, deadlines are different everywhere, specific terms are specified on the MMA website. The Metropolitan Museum of Arts also offers some scholarships for researchers working in the field of art history. The junior staff, that is, those who are only planning to receive PhD, and $ 52,000 will receive senior staff (holders of PhD) can apply for a grant of $ 42,000. Also, the scholarship holder can additionally receive $ 6,000 for travel-related expenses. The list of requirements for applicants depends on the chosen program, but everywhere you need a motivation letter and recommendations. Deadline – November 6 of each year. New York Film Academy annually provides scholarships in the form of a discount for training: $ 10,000 for actors and $ 15,000 for film and documentary filmmakers, operators, producers, writers, journalists and experts in 3D animation. These amounts partially cover the payment of tuition. From the candidates will require a document on secondary or higher education, a high level of English, a list of implemented projects, a motivation letter. Applications for a grant are accepted all year round. The Elizabeth Greenshields Foundation offers a grant of 15,000 CAD (US $ 10,800) to outstanding artists working in the subject-pictorial style of painting, drawing, engraving or sculpture. The applicant must explain why he needs funding. If it comes to obtaining an education, it is necessary to provide evidence that the applicant was admitted to the university. If money is required for the implementation of a project, you need to describe this project. In any case, the applicant submits a portfolio of works, recommendations, as well as information about the exhibitions held. Applications for a grant are accepted from adult artists from any country throughout the year. The Kate Neal Kinley Scholarship is aimed at graduates (including foreigners) of the College of Fine and Applied Arts of the University of Illinois in the city of Urbana-Champaign or another similar in profile and educational status institution. It is issued for the deepening of education in the field of arts. $ 20 000 can get specialists in the field of music, architectural design, art and design, theater, dance. A scholarship of $ 9,000 is available to those who have studied through arts, architecture, dance, theater, landscape architecture, urban and regional planning programs. Applicants need to justify the need for their further training, to prove to the commission the seriousness of their intentions and the outstanding nature of the work. Preference is given to candidates who have not reached the age of 25. Information about the deadline can be tracked on the official site. International Art Residence in the State of New York Art Omi invites artists from all over the world working with visual aids to participate in a four-week program. All residents will receive a room, a studio for work and free meals. The traveler and materials must be paid by the participant of the program. For those who do not have the means, Art Omi offers a number of scholarships. International applicants can claim them if they fall into one of three categories: artists who have never been to the US, women artists and disabled artists. To participate in the program is not necessarily a profile education, the application can submit and self-taught, most importantly, to prove their professional viability. In the current year, applications have not yet begun. The BMI Foundation annually allocates scholarships to composers and musicians. The size of the scholarship is, as a rule, $ 5,000. There are various programs for different types of music: jazz, Latin, classical, country music. Some programs have age limits and other specific requirements. Almost everywhere applicants should be students of profile universities. Each program has its own deadline. The non-profit organization ArtLinks organizes a five-week residence for artists (in a broad sense of the word) from all countries of the world. Participants who have passed the competitive selection will receive full coverage of all expenses. In autumn of 2017, the residence dedicated to the performing arts and literature will be functioning (deadline – October 15), and in autumn 2018 – dedicated to visual and media arts (deadline – October 15). Only professional artists can apply for participation, but not students, art researchers or amateurs.